Desiree Cooper's essay "It Can Happen Here: Model City Once Again?" is the capstone on this evocative collection of essays that explore the 1967 rebellion, its origins, impacts and legacy. Detroit 1967 aims to correct fallacies surrounding the events that took place and led up to the summer of 1967 in Detroit, and to encourage informed discussion around this topic. In order to tell a more complete story, Detroit 1967 starts at the beginning with colonial slavery along the Detroit River and culminates with an examination of the state of race relations today and suggestions for the future. Readers are led down a timeline that features chapters discussing the critical role that unfree people played in establishing Detroit, the path that postwar manufacturers within the city were taking to the suburbs and eventually to other states, as well as the widely held untruth that all white people wanted to abandon Detroit after 1967. Twenty contributors, from journalists like Tim Kiska, Bill McGraw, and Desiree Cooper to historians like DeWitt S. Dykes, Danielle L. McGuire, and Kevin Boyle, have individually created a rich body of work on Detroit and race, that is compiled here in a well-rounded, accessible volume. 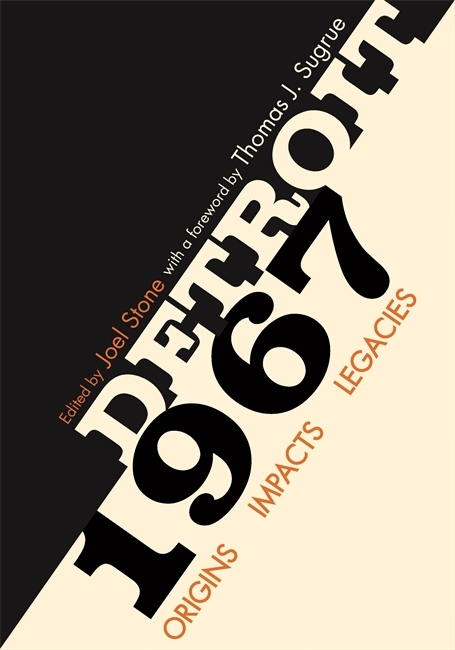 Detroit 1967 is available from Wayne State University Press. Home is a loaded word, a complex idea: it's a place that can be comforting, difficult, nourishing, war-torn, or political. In this breathtaking, thought-provoking collection, 30 women writers explore the theme in personal essays about neighbors, marriage, kids, sentimental objects, homelessness, domestic violence, solitude, immigration, gentrification, geography, and more. Contributors--including Amanda Petrusich, Naomi Jackson, Jane Wong, Desiree Cooper and Jennifer Finney Boylan--lend a diverse range of voices to this subject that remains at the core of our national conversations. What makes a home? What do equality, safety, and politics have to do with it? And why is it so important to us to feel like we belong? Engaging, insightful, and full of hope, This is the Place will make you laugh, cry, and think hard about home, wherever you may find it.